Pumps - Gino Pinto Inc.
Zambelli Pump “Tifone” T-70 Series Self Priming Pumps- made entirely of AISI 304 cast stainless steel, with neoprene impeller. These pumps are suitable for the decantation of liquids such as wine, water, and oil. Suction is possible in both directions. The rubber impellors prevent the shaking of the decanted liquids. 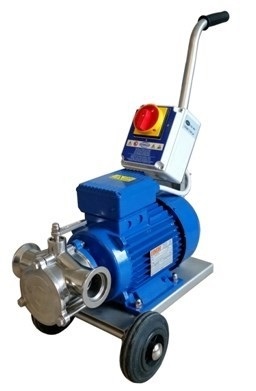 These pumps works at low rpms, providing a steady and gentle flow.